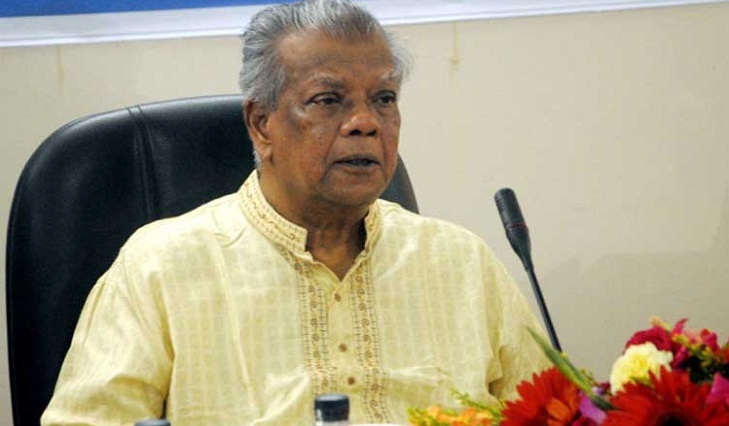 Industries Minister Amir Hossain Amu has said the government is committed to provide every possible support for the expansion and development of the industries of thrust sectors. He made the remarks on Thursday in the inaugural ceremony of the three day long international exhibition titled 'Health and Fitness 2017' at International Convention City Bashundhara, Dhaka. The purpose of the exhibition is to demonstrate new and innovative technology, products, equipment, methods in the concerned sectors and explore the avenue for the participants, organisations and patrons in a single platform. Mentioning bi-cycle and herbal industries as potential sectors, Amu said " We have earned 99.15 million dollar in the 2015-16 fiscal year from bicycle industry while Tk. 330 crore herbal products have been exported to United Arab Emirates, Pakistan, US. So we are committed to extend our assistance to boost these industries." He said “Within a short span of time, Bangladesh ranked third largest bicycle exporter in the world. Many small industries are growing up from organic, natural and herbal products arena with the policy support of the present government. We have included 'Herbal products and medicine' industry as one of the thrust sectors in the national industry policy-2016 and providing every possible support for its expansion and development." The minister appreciated the arrangement of such expo in participation with the national and international experts and entrepreneurs starting from bicycles manufacturers and importers, organic drinks and food to exercise machines, sports equipment manufacturer, clothes and outfits from home and abroad. He said, “It will provide common platform, both for the local and international entrepreneurs while businesspersons will display their innovative products and technologies that will undoubtedly play a vital role in creating the growing demand for health and fitness products and technologies in the country." More than 30 companies from home and abroad are participating in the exhibition with their products. State minister for Youth and Sports Dr. Biren Shikder spoke as special guest while president of Bangladesh organic products and manufacturers associations (BOPMA) Muhammed Abdus Salam, Sports editor of Daily Prothom Alo Utpol Shuvro, and country's biggest bicycle community BD cyclists Admin Fuad Ahsan Chawdhury were also present in the opening ceremony. Managing Director of SAVOR International Limited Faizul Alam delivered the welcome speech at the inauguration ceremony. The exhibition will continue till December 16.